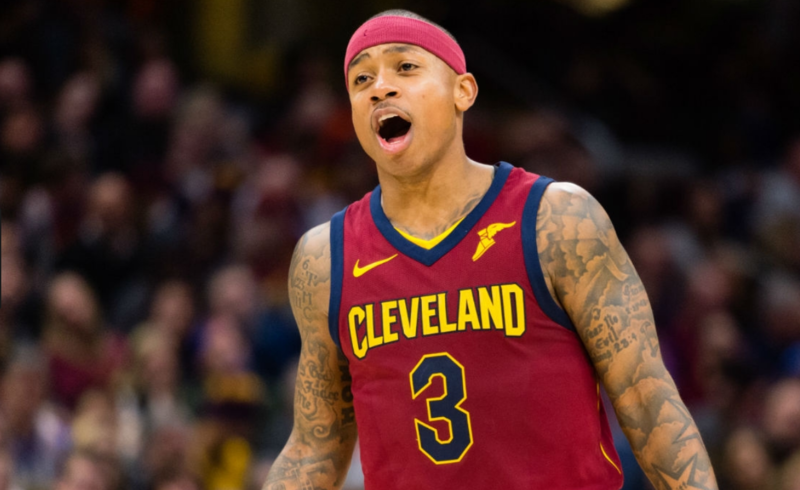 ORLANDO– Isaiah Thomas will get his first start of the season as the Cavaliers take on the Orlando Magic on Saturday night. While Thomas made his season debut on Tuesday against the Portland Trail Blazers, dropping 17 points in 19 minutes, he did so in a bench role. Now, he will be replacing Jose Calderon as the Cavs’ starting point guard, but he will still remain under an undisclosed minutes restriction. It’s easy to understand why Thomas feels that way. He’s said repeatedly that he is a scoring guard, and will always look to make plays and put the ball in the hoop regardless of what his role is. When it comes to Tuesday night’s performance, Thomas said his scoring and his quickness really made him feel like he was truly back. But, at least for now, Thomas will remain under that minutes restriction. Head coach Tyronn Lue declined to go into detail about how his minutes would increase (if at all) in these coming games. Thomas also remains unable to play in back-to-back games for the time being, a stipulation that kept him out of going against his former team, the Boston Celtics, last Wednesday. Thomas himself even said on Friday he is not at 100 percent, mostly because of his conditioning. But for the most part, it seems like the Cavs consider Thomas’ return to action with no restrictions a fluid one. After all, it worked the first time when it came to his return. Because of his back-to-back restriction that will still be in place throughout the Cavs’ road trip, Lue said Thomas would likely not play against the Indiana Pacers next Friday after taking on the Toronto Raptors on Thursday. Thomas is still very much in the middle of his “slow grind,” the phrase he likes to quote often on social media. But his insertion into the starting line-up will provide another play maker that can take some pressure off LeBron James in that regard. But the fact remains that fans will have to wait a little longer as Thomas continues to build up his conditioning, and the team continues to adjust to him to truly see what this team looks like at full strength. Patience is a virtue, and in this case, it’s a good thing both sides seem to have it in spades.